More information: The Universe Also Collapses is the sound of Gong in 2019, as vanguards of 21st-century psychedelia. Following the success of Rejoice! I'm Dead! 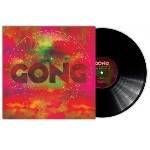 (2016) - a transitional album in the evolution of Gong and an opportunity to say goodbye to the great Daevid Allen - the current formation of Gong are releasing an album for themselves. Frontman Kavus Torabi explains the concept behind the new material, "Lyrically it can be summed up with the phrase, 'Remember there is only now', which was originally the working title! Everything is happening at once and always will be. There is only this and there is only now. This is both a statement about where the band is at, being part of the long Gong continuum but being here and now as Gong in 2019 but the birth and death of the universe too. The Big Bang and the eventual collapse of the Universe and everything in between is all happening in the same instant. In this very moment. Time is an illusion. All we have is this and it's beautiful." The Universe Also Collapses was recorded at Snorkel Studios in London, engineered and mixed by Frank Byng, mastered by Andy Jackson at Tube Mastering and features artwork by 57 Design.